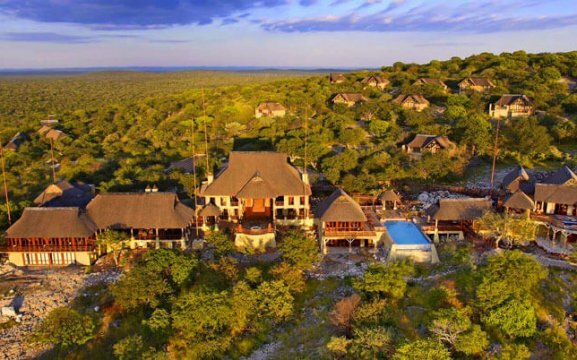 Epacha Game Lodge & Spa is located on top of a hill of the 13,000ha Epacha Private Game Reserve which borders the main road to Etosha National Park. 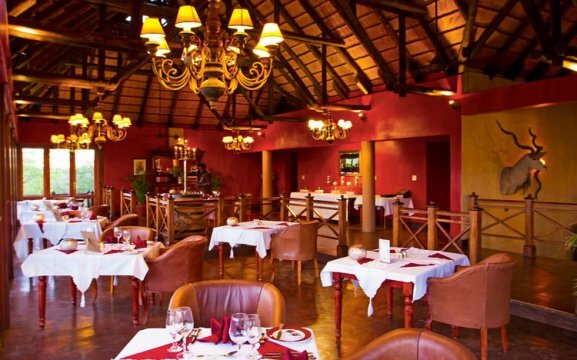 The main lodge building houses a cosy library, cigar room and an exquisite wine cellar underneath the restaurant. 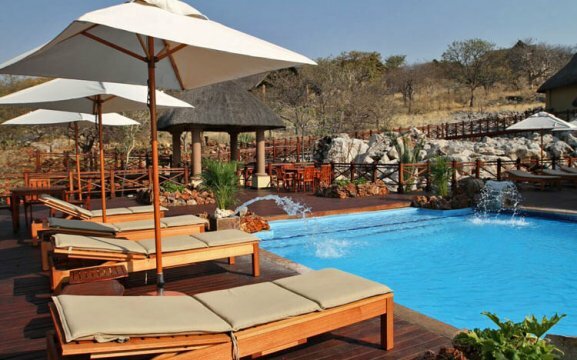 The stunning pool and pool-bar offer free Wi-Fi connection for guests. We also have conference facilities with the most up-to-date audio equipment. 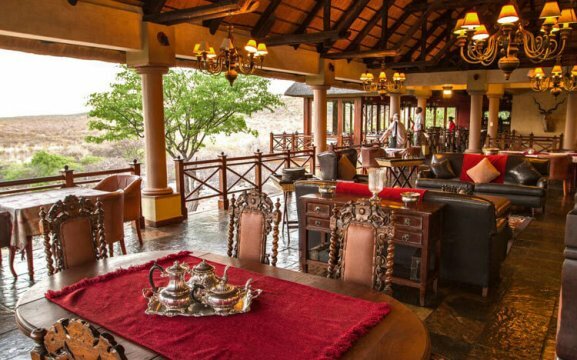 Epacha Game Lodge & Spa offers 18 luxury chalets spread over the hills surrounding the main building and overlooking the private game reserve. 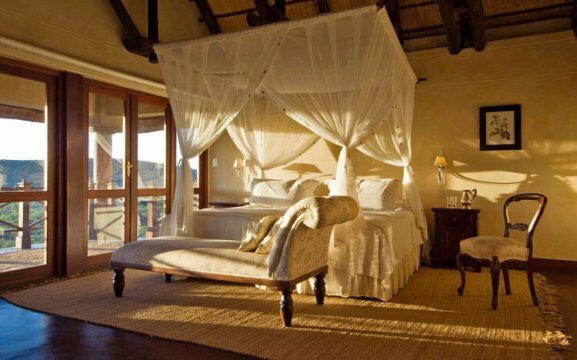 The spacious bedrooms have a large balcony with stunning views over the Epacha Private Game Reserve. 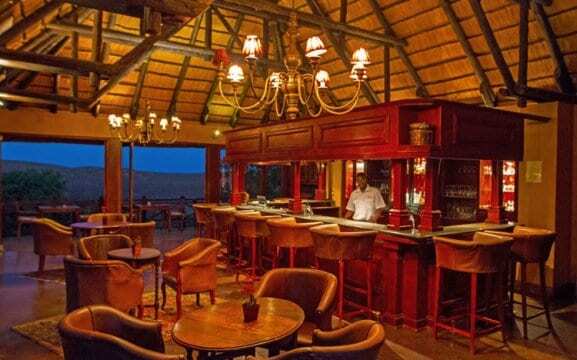 All rooms are air-conditioned, have a minibar, safe and coffee/tea facilities. 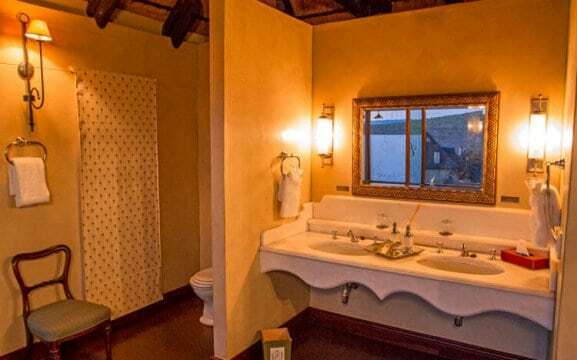 The luxury bathroom offers a spacious bathtub, an inside and an outside shower. Our health centre and open-area gym features a sauna, Jacuzzi, mud bath and an infinity pool we offer pedicure, manicure, massage or Thalasso therapy. 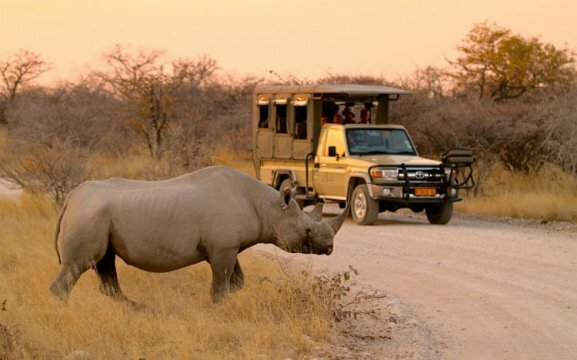 We also offer morning and afternoon game drives through the Epacha Game Reserve, clay pigeon shooting and a visit to the Etosha National Park.